The Bosch AquaStar 125 BO model has a pilot light and offers a Piezo push-button ignition and utilizes a modulating gas valve to ensure a constant temperature at varying flow rates. The 125BO is designed to be installed outdoors and has a 120V plug that is only used for freeze protection. The 125 BO is the perfect tankless solution for smaller families and households that only use no more than two hot water applications at a time. This 117,000 BTU/hr maximum input heater has enough power for running a shower and a sink simultaneoulsy. BOSCH gas tankless water heaters are warranted by the Manufacturer (BOSCH) through Bosch AquaStarotechnology Corp. Bosch AquaStarotechnology Corp. will furnish a replacement heat exchanger and will furnish a replacement of any other part which fails in normal use and service within the applicable periods specified below, in accordance with the terms of this warranty. The Bosch AquaStarotechnology Corp. replacement will be warranted for the unexpired portion of the original warranty. This warranty will be valid only for water heaters in possession of the original purchaser as recorded on the warranty card. If the heat exchanger fails within Fifteen (15) years after the original installation and operation, Bosch AquaStarotechnology Corp. will furnish a replacement heat exchanger. However, if the water heater is used within an approved hot water recirculation and supplied with circulated water, this heat exchanger warranty is limited to three (3) years from date of original installation and operation. If the water heater is installed in other than a single family dwelling, this heat exchanger warranty is limited to two (2) years from date of original installation and operation. If any other part fails within two (2) years after original installation and operation, Bosch AquaStarotechnology Corp. will furnish a replacement part free of charge. In most cases, the dealer or distributor will be able to promptly honor your claim and subsequently notify Bosch AquaStarotechnology Corp.. 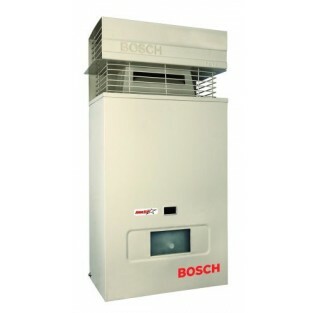 However, all replacements are made subject to validation by Bosch AquaStarotechnology Corp. of in-warranty coverage. The damaged or defective item must be made available in exchange for the replacement. No one is authorized to make any other warranties on behalf of Bosch AquaStarotechnology Corp.. It is expressly understood that the replacement warranty of Bosch AquaStarotechnology Corp. shall be in lieu of any and all other warranties, express or implied, including warranties of merchantability or fitness for a particular use or purpose, and further that Bosch AquaStarotechnology Corp. shall not be liable for any loss or damage directly or indirectly arising from the use of the hot water heater, or for any consequential damages arising from such use (including damages from water leakage). Bosch AquaStarotechnology Corp. sole liability with respect to any defect shall be for the replacement of the defective part(s). Some states do not allow such limitations and exclusions, so the above may not apply to you.